I have a theory about why Ronda won for so long and is now losing. Ronda started the female MMA game. There were female fighters before her, but her success got people to enter who otherwise would have gone on to be successful elsewhere. She massively increased the size and quality of the competition. Her style was to overwhelm and submit, but her boxing and her defense isn’t that strong. What she would do is just push through people who were not especially tough, couldn’t hit that hard, and who could in no way handle her takedowns or her ground game. But now the game is different. Now you have women fighting who are way bigger than her. Way stronger. And who hit really hard. They’re also pretty decent at taking (or avoiding) an initial flurry from Ronda and getting to their main game of striking. And that’s how to beat her. Essentially, to beat Ronda you have to withstand whatever she does in the first 30 seconds, and then hit her really hard. If you have the striking skill and enough strength to follow that up you’ll just win. Nunes is precisely that person. I don’t think Ronda even hit her. Her striking is spectacular and she just hit Ronda early and it was over. Same as the Holm fight, except Holm’s shots added up instead of coming in a few massive ones. 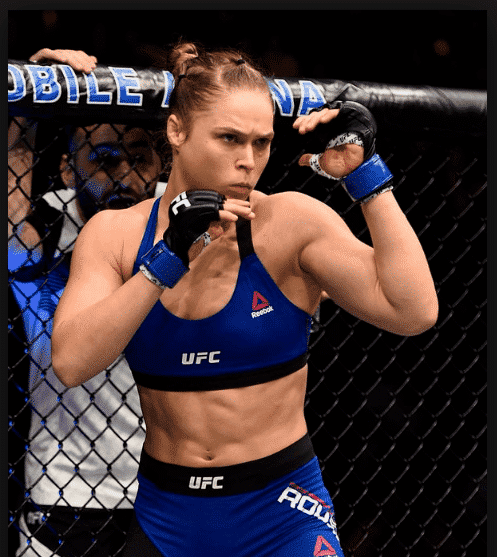 In short, Ronda can beat anyone who lacks strong striking and good power, and who just waits around and tries to win on points. She can just come forward, walk through whatever they do, and either knock them out or take them down and it’s over. And now those people don’t really exist in the top 5 anymore. And soon they won’t exist in the top 10. It’s just the evolution of women’s MMA, which is starting to look a lot more like men’s MMA. Here’s my recommendation for Ronda. Pick some lower-level fights with people like she fought before. People who can’t really hurt her with single shots. Have two or three of those fights, which she completely dominates. Not because she’s lost and she’s running, but because she started something great and she has so much to offer elsewhere. But she should leave in a positive way—with a couple of wins. Then she can move to movies, analysis, and anything else she decides to do. The game has changed to favor bigger and stronger strikers, and it’s just not a place she can compete. And that’s ok.
She’s made her mark. Get a couple of victories and move on. There’s plenty for an MMA pioneer, future Hall of Famer, Olympic champion, millionaire, likable woman to do in this world. Let MMA go and get started with the rest of your life.